80% of Smartphone pass through any of these stages; freezing , crashing or slow motion movement . There are many reasons this can happen. The most common reason this would happen, is when the phone is performing more software tasks in the background than its hardware is designed to do. If your device is running slowly, stuck or keeps restarting itself or crashing, one of the troubleshooting solutions below may fix the issue. 1. Press and hold the Power button until the menu pops-up. 2. Touch Power off or Restart if that is an option for you. 3. Touch OK to confirm. 4. 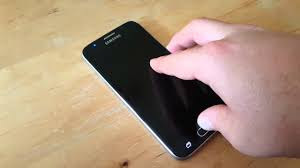 Press and hold the Power button until your device starts. 1. Open the Play Store app . 2. In the top left, touch Menu > My apps & games to view your downloaded apps. Apps with available updates are labelled “Update”. 3. If there’s an update available, select the app and touch Update. Close apps you are not using: If you have a lot of apps open, they could be taking up system memory even though you aren’t actively using the app. 3. Select the app from the list. Check storage and clear space: You may experience issues if the internal storage on your device is full or almost full. Removing unnecessary files and clearing cached data can free up space that your device needs to work properly. 1. Open your device’s Settings app. 3. Check to see how much storage you have available. Your device may start to have issues when less than 10% of storage is free. If you’re running low on storage, see this simple guide on how to fix internal memory running low , boot your phone into safe mode and check if the problem stop, if it does, then you can reboot your phone and uninstall recently downloaded app and you are good to go.